SCHINDLER'S LIST Businessman Oskar Schindler arrives in Krakow in 1939, ready to make his fortune from World War II. After joining the Nazi party primarily for political convenience, he staffs his factory with Jewish workers for similarly pragmatic reasons. When the SS begins exterminating Jews in the Krakow ghetto, Schindler arranges to have his workers protected to keep his factory in operation, but soon realizes that in so doing, he is also saving innocent lives. 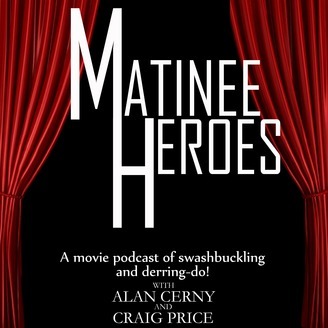 Alan and Craig discuss how reluctant heroes are made when their conscience won't allow any more, Alan is at Hullabaloo while Craig attends FanX and one of the most important movies ever made "Schindler's List" on this week's Matinee Heroes. 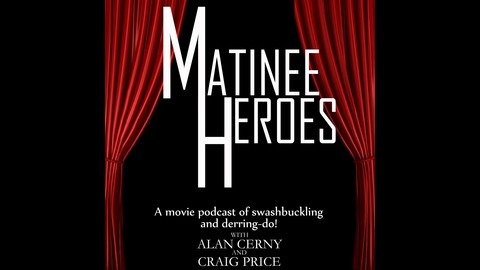 Show Notes 1:13 Alan and Craig talk about the Hullabaloo and Salt Lake's FanX. Both happening today, April 20th 10:45 Discussion of "Schindler's List" 48:00 Recasting 1:03:51 Double Feature 1:08:17 Final Thoughts 1:12:07 Alan and Craig preview next week's movie "2001: A Space Odyssey" Next week Alan and Craig finish Epic April with the landmark sci-fi epic "2001: A Space Odyssey"